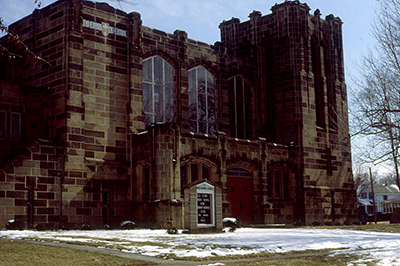 Amherst Park Avenue United Methodist Church and Amherst Old Stone United Methodist Church voted on November 24 to merge, effective February 2014. The new congregation will be known as Amherst United Methodist Church (Firelands District). “The two churches coming together as one will strengthen the ministries offered to the community of Amherst,” said Pastor Daniel Reinke, who serves both churches. In March, the two congregations began holding a joint worship service while Reinke recovered from surgery. “When I returned in June the churches asked if they could continue to worship together,” said Reinke. The lay leaders from each church formed a visioning committee that began meeting weekly in August to discuss how God was calling the congregations to move forward. “The merger was completely laity-led, which I think is very healthy,” said Reinke. 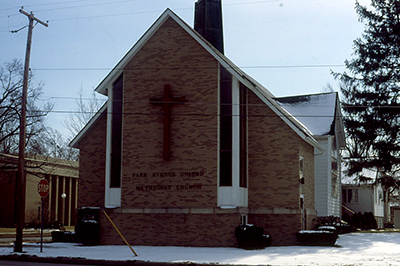 Old Stone UMC has 183 members and Park Avenue UMC has membership of 166. Logistics are still being worked out to determine where and when worship services will be held come February.